Hey all friends and followers! SamuelWhisky is back after a long and well needed vacation! I’ve had a great summer, amongst many other things I did trips to two distilleries and I’ll make sure to share some pictures and a few lines on those adventures sometime soon… Hope all of you guys also have had a grrreat time and are ready to move on into a cozy autumn and a lot of interesting releases, festivals and tasting notes! I sure do feel ready because a couple of days ago I received some mail from the guys at ’Svenska Eldvatten’ (Swedish Firewaters), the envelope contained a sample of their next release, due tomorrow at the swedish state monopoly, a single cask bourbon matured Ardmore at 50,2% ABV. 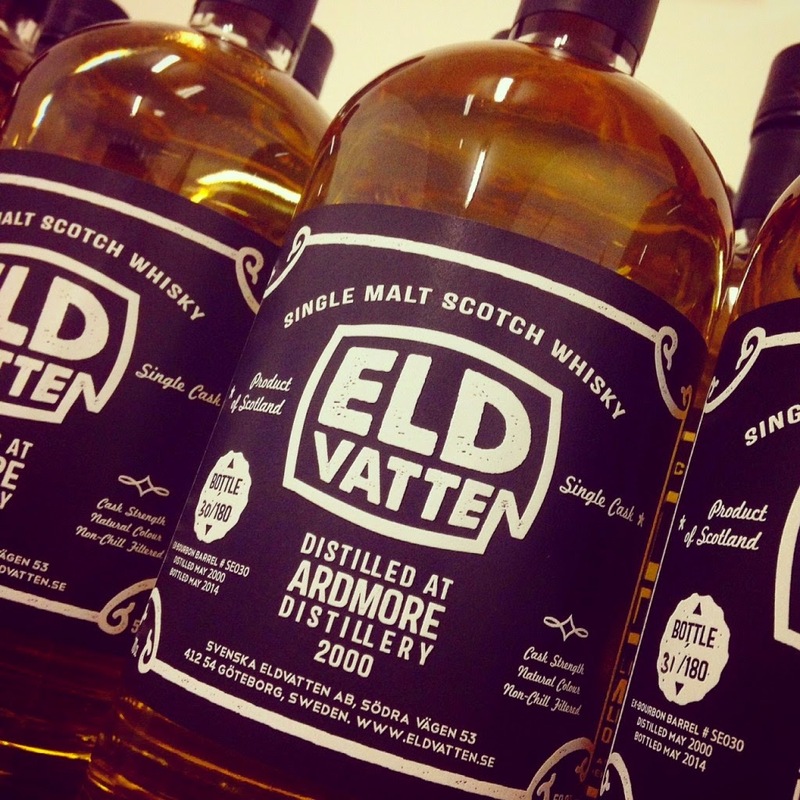 As you might know Ardmore is special in the way that it’s a Highland (Speyside) distillery that produces peated whisky! As far as I’ve learned the ppm is between 12-15. This particular cask, SE030, gave 180 bottles so it’s a quite small release. Almost 14yo. For those of you not living in Sweden ’Svenska Eldvatten’ is available here. Okey, let’s try it! Opening the sample bottle there is instantly big whiffs of some really heavy smoke, drawing towards logs and bold pipe tobacco. Nice! Pouring some in my glass and nosing it carefully gives a kind of a ”dry smoke” with almost grape-peel-ish vibes. Cool! The bourbon influence (vanilla) also gives me a kind of a ”dry” feeling, as if I can feel on the nose that this will really dry out my mouth. Quite complex this little dram… There is actually something reminding me of cucumber-water, which I’ve never felt in a whisky before J and it’s kind of moving into just a tad tequila-esque (what?!) somehow… it’s all kind of ”green” if you know what I mean… exciting! Let’s se what we have on the palate! This is great stuff (in Swedish I loudly bursted out to myself ”Å fy f*n va god!” but we will censor that in this politically correct translation…)! Wow, It’s really robust in the peat, big peat comes first, but not too big, saltyness that clings to the tip of my tounge, then we have a grand vanilla and creaminess, I never thought it would be this creamy, I thought it would be rather dry, but this is mouthwatering creaminess! The alcohol-level is perfect. In the aftertaste comes something really herby-ish and a slight rubber touch, and then actually becomes quite dry (smacking my mouth…), just above medium dry. Wow, the ones who manages to get a hold of a bottle from this release sure is lucky! Well done in choosing this cask fellas! A big thanks to Tommy and Peter for the sample, now I’ll pour myself the rest of it! J Slainté!